Solid metal roller buckle for easy belt adjustment. 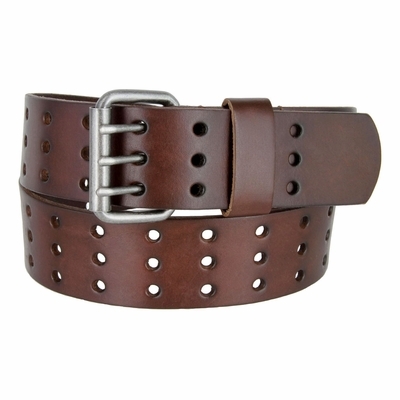 1.75" wide Genuine full grain leather belt with 3 rows of holes for close fit. The buckle and loop are reinforced by stitches and are not removable.